I have a huge spring time crush happening here. The target of my affection is oh-so creamy and dreamy home-made pistachio milk. What a charmer. The color of this heavenly nectar is so beautiful that I could just sit and watch it´s tones through my drinking glass forever. …If I would not be so eager to gulp it down in a heartbeat. 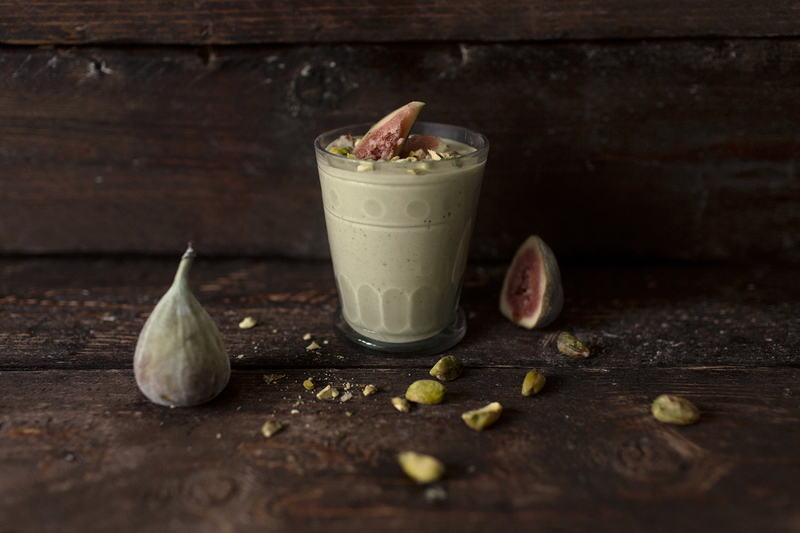 Pistachio milk is perfect for example in making raw cakes and ice creams and it´s a loveliest base for smoothies too! 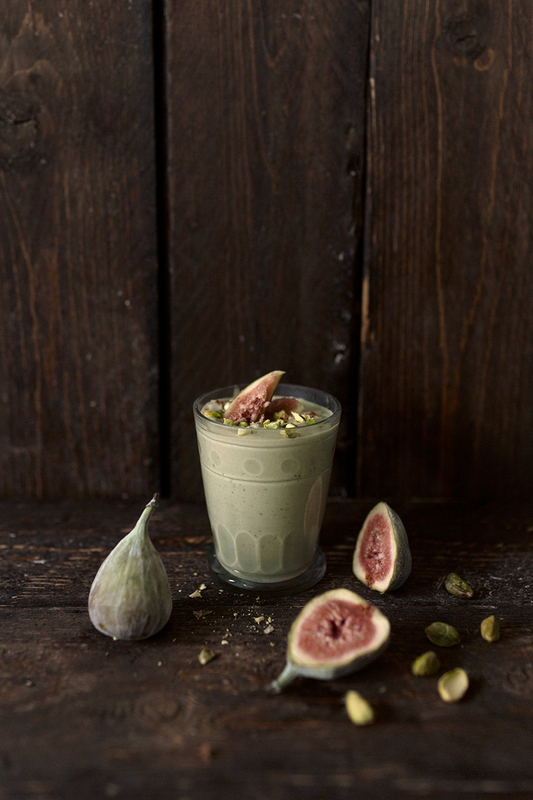 In today´s smoothie recipe I connected pistachio milk with figs. And boy did it turn out delicious! I warmly recommend you try it out on some lovely spring day. And also a bunch of other delicious and fresh smoothie recipes from my free e-book, Creamy Smoothie Guide! And hey, while you´re here could I ask you to take a minute (or more like 30 seconds) and vote for VANELJA in Saveur Food Blog Awards in the best-designed blog category, as my blog is one of the finalists. Your vote would mean a world to me! As this whole being-in-the-finals already did. You need to registrate first but it only takes a second and you won´t get any junk mail. So Click & Vote for VANELJA and pure pleasures! Thank you darling, I send you loads of love in return! Add all ingredients to a blender and blend until smooth. Check the taste and add some seasoning or sweetness if desired. Enjoy! Soak the pistachios in the water for a few hours. Drain the soaking water and rinse pistachios. Place nuts, 3 cups of water, honey and vanilla to a blender and blend until smooth. 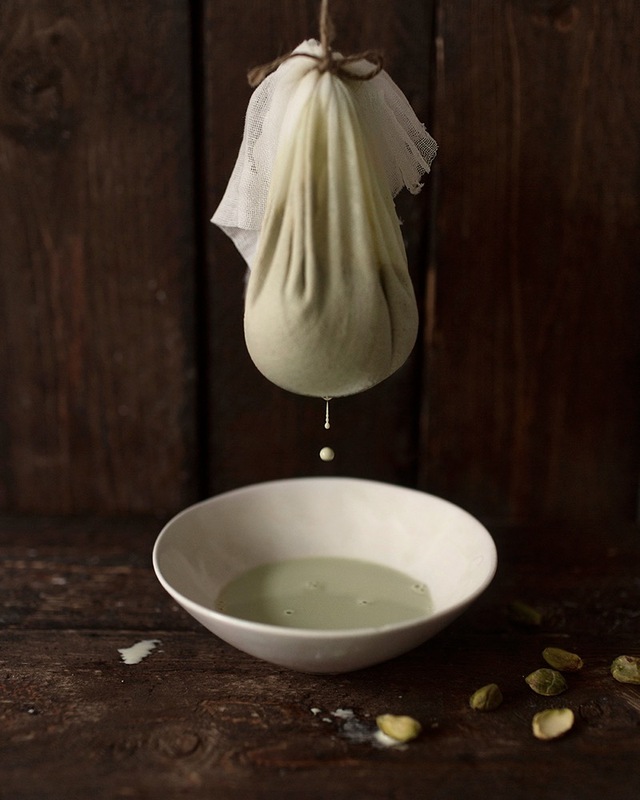 Strain the nut milk through a fine sieve, cheese cloth or nut milk bag. Store the pistachio milk in the refrigerator in a sealed bottle or a glass jar. Shake before use and enjoy! Use within a week. More delicious smoothie recipes from VANELJA´s free e-book: Creamy Smoothe Guide!